There are problems for Capital Bikeshare users across the region, fueled by network connection problems for about 10 percent of the system's stations. WASHINGTON — There are problems for Capital Bikeshare users across the region, fueled by network connection problems for about 10 percent of the system’s stations. 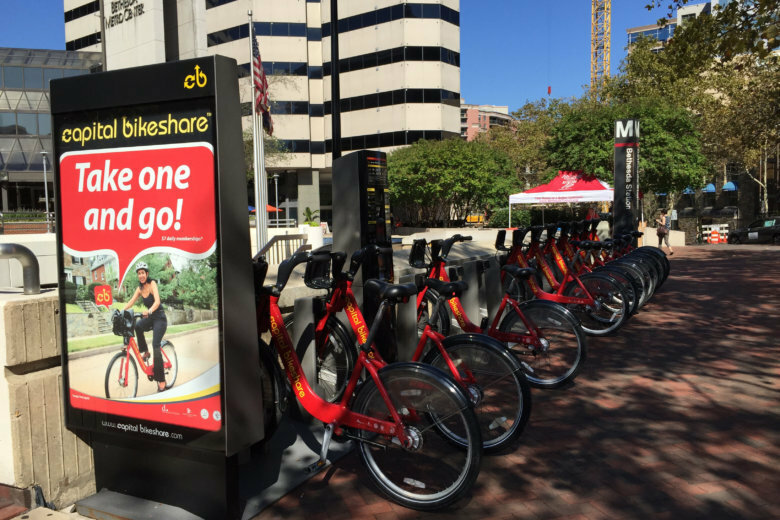 Bikeshare had already been dealing with an apparent increasing number of issues with some individual docks, but said in a Thursday afternoon message to riders that these problems with stations becoming disconnected from the network started Wednesday. Connection to the network is required for the system to keep track of and verify who is taking out a bike and for how long. “As soon as we became aware of this issue, we began working on a solution and have been in the process of fixing it. However, it is taking us longer than we expected to bring all of the stations back online and we apologize that these stations remain out of service,” the message to users said. Earlier in the day, the system had tweeted that the issues had taken a significant number of stations out of service, but the email message was the first broader notification to riders about the issue that began Wednesday. The Capital Bikeshare system map on its website and mobile app will show which stations are offline if riders remember to check before starting a trip. A check of the map late Thursday afternoon showed individual stations down in spots across the region, but many stations in-service. In the past, stations that are disconnected allowed riders to dock bikes but did not transmit the information about the bike being returned to central servers, so riders risked some overage fees if they did not reply to emails from the system asking about the bike’s status. Capital Bikeshare is offering assistance through customerservice@capitalbikeshare.com or 1-877-430-2453 for people who may have incurred overage fees or paid for a daily or three-day pass without being able to use it.